In Project Business Management (PBM), one can sometimes observe a dilemma situation typical for games with one player. A series of decisions needs to be made, and each time, the momentarily best and most economic option is chosen. However, the series of good decisions adds up to a major failure. There are surprising similarities of doing projects and playing one-player games, such as the card game Solitaire (Figure 1). While the game is not played against one or more competitors, one may nevertheless win or lose. The same can apply to projects, and when the project is done under contract, additional risks can impact project success, as I will show in the following example. Talking with project managers in customer projects, there is often an opinion found that customer satisfaction is the only goal that one should have. It is then – correctly – emphasized that making customers happy generally justifies the existence of a project vendor company and protects its future by providing a reference that will make it easier to win incoming business opportunities. In addition, a happy customer may give the contractor the status of an incumbent provider, making it easier to make more business. Figure 2: The Magic Triangle of customer projects. All three corners are equally important to protect the presence and the future of the company. Laying out a game-theoretical model for games with one player, such as the card game Solitaire, I am showing that more aspects of project business need to be considered, particularly the profitability of the project for the vendor and its impact on the company’s liquidity, as shown in Figure 2. It cannot be the goal of a project to lead the vendor into insolvency, which would also incapacitate the company to satisfy the customer. The First Decision: Winning the Contract or Stepping Back? Sandworm, Inc., was certain to have won the best project contract in the company’s history. It was a fixed price contract to deliver and implement a business software solution for Wolf Spider Corp. at a value of US $100 million over a period of nine months. To make the project even more attractive, the contract included a commitment by the customer to add an incentive of 10% on top if they would finish the project two months early. Sandworm had done similar projects in the past and felt it was in a good position to meet the seven months incentive date which would make project very profitable and would also ensure a happy customer. Another detriment was a liquidated damage clause of $20 million that would apply in the case of late delivery and would be deducted from the fixed price. The most unfavorable passage of the contract was a performance guarantee in support of the customer. It said that if Sandworm was found unable to deliver at all, the customer would be permitted to immediately terminate the contract. In such a case, the customer would not pay anything to the contractor but the liquidated damages would still apply, meaning Sandworm would have to pay $20 million to the buyer. The same would apply if Sandworm terminated the contract before the project was finally finished. 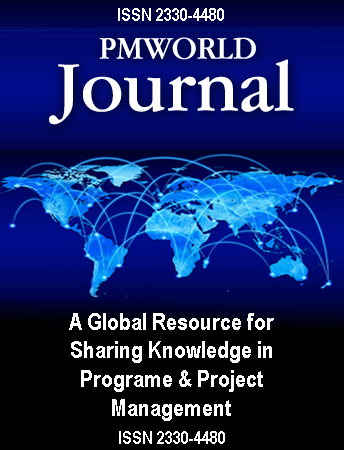 Editor’s note: This series of articles is by Oliver Lehmann, author of the book “Project Business Management” (ISBN 9781138197503), published by Auerbach / Taylor & Francis in 2018. See author profile below. Oliver believes in three driving forces for personal improvement in project management: formal learning, experience and observations. He resides in Munich, Bavaria, Germany and can be contacted at oliver@oliverlehmann.com.